The Wall Street Journal and The New York Times have dealt with the “asylum” question seriously within the past two months, as the debate on how best to treat the mentally ill refuses to retreat from the national consciousness. While the WSJ’s take was (unsurprisingly) more sober, the mere fact of an emerging consensus on the proposal that we rethink our national aversion to inpatient psychiatric care is profound, given the polarization of our time. The issue’s pertinence to our contemporary moment almost precludes explication. Mass shootings (which are empirically linked to mental illness, despite hysterical claims to the contrary), urban centers saturated with an often-psychotic homeless population, and a marked increase in suicides have left Americans of all political stripes disillusioned with a “mental health” establishment that, at base, seems to lack a fundamental seriousness. The old guard of “mental health” pundits and experts have drowned hundreds of millions in taxpayer monies in a rhetorical fight against “stigma,” in what can only be described as a backhanded indictment of the American public (it’s your fault that the man up the road who hears voices doesn’t seek treatment). While federally funded advocacy groups spend money on reeducation campaigns and impeaching the American character, the malevolent and punitive hand of the prison system has replaced the pastoral asylum of old as a primary provider of care for the mentally ill.
Rather than applauding the guiding impetus for the state hospital’s constriction — the creation of a rural haven from the suffocating despair of serious mental illness, fit with gorgeous architecture and beautiful campuses — “advocates” and idealists have been satisfied to destroy Chesterton’s fence with only a rhetorical device (“community mental health!”) to replace it. “Bring back the asylum” is an admittedly crude formula for what is a more benign goal, namely, reorienting psychiatric care toward an inpatient model for those for whom it is appropriate. It also miscasts the current status of state psychiatric hospitals — public and/or private psychiatric hospitals, some dating back to the late 19th century, remain open in every state – but their populations have dwindled substantially, and once-extensive statewide networks of hospitals have often been consolidated into one or two facilities. A large portion of these institutions are filled with forensic patients, committed following an insanity plea or a transfer from a correctional facility, leaving little room for civilly or voluntarily admitted patients. In any piece of this sort, there is the necessary preemptive statement in which one acknowledges the reality that the asylums of old were riddled with abuse, lest one be accused of advocating for insulin shock therapy for the mildly eccentric or lobotomies for the temporarily depressed. That asylums were once snake pits neither invalidates the institutional model itself as a means of helping the acutely ill, nor nullifies the good that many experienced and continue to experience at state psychiatric facilities. While hundreds of “bring back the asylums” essays are trotted out in the wake of the more obvious misdeeds of the violently ill, the actual means of achieving those ends are rarely (if ever) discussed with specificity. Here are seven brief and actionable steps toward an effort to alleviate some of the problems wrought by deinstitutionalization. They’ll be necessary, if the asylum — in whatever form it takes in the 21st century — to return to prominence and assist the acutely and dangerously ill. It is difficult to overstate how deeply the preference for “the community” as a locus for care is baked in to our legal and rhetorical framework. “Community mental health” as a buzzword is treated as sacrosanct, as if there is something clearly preferable about a paranoid schizophrenic bouncing in and out of halfway houses for a decade, as opposed to taking a six-month reprieve in an inpatient setting to figure out proper medication while under supervision. There are certainly CMHCs which provide essential treatment in the vacuum left following deinstitutionalization. It is nevertheless important to note that CMHCs have not only acted as a center for the treatment of the mentally ill outside of state hospitals — which, as a matter of empirics, has been moderately successful for the mildly ill but plainly inappropriate for some of the seriously ill — but also as a facilitator of specific kinds of political change. Many CMHCs were and are heavily involved in political activism under the guise of “prevention.” How those with schizoaffective conditions or violent ideations benefited from such partisan advocacy is unclear. Perhaps the most important assertion in this piece — the inevitable retort that “community mental health” hasn’t been properly funded — is provably false. Billions upon billions of federal and state monies have been poured into JFK’s pet project, and its consistent failure in caring for the dangerously or profoundly ill is a paradigmatic flaw unconnected to its level of funding. The Community Mental Health Act was the first time the federal government had waded into the waters of treating mental illness, outside of its funding for the still-active St. Elizabeth’s Hospital that served as a psychiatric hospital for the District of Columbia and for some of the federally-adjudicated criminally insane, as well as various programs that operated in a similar capacity. As the renowned psychiatrist Dr. E. Fuller Torrey points out in his magnum opus on the subject American Psychosis, since the federal government’s involvement in mental health began in its totality in the 1960s, billions upon billions of taxpayer monies have been spent on something the states once ably handled themselves, and in turn all sorts of resultant incentives from this intervention have hurt taxpayers and patients. Torrey highlights how, even prior to the federal government’s involvement, states were recognizing that the advent of psychotropic medication allowed many of their institutionalized patients to leave hospitals, and in turn created community programs of their own volition without prodding from the federal government. It was the imposition of the Kennedy administration’s ideological vision for mental health care that disrupted the emerging continuum (community care, intermediate facilities, and state hospitals) on a state level. Like so many other issues, a “one-size-fits-all” nationalized approach to what is fundamentally a state concern has hurt many of the people it was purported to help. Torrey notes in Psychosis how the IMD exclusion lead states to aggressively pursue the release patients from state hospitals who were not capable of handling community life by anecdotally highlighting Illinois: “Illinois not only [encouraged] the placement of severely mentally ill individuals in nursing homes but also abetted the process by intentionally misdiagnosing patients so that they would be eligible for federal Medicaid.” As a 1998 Chicago Tribune report discovered, “the state has modified at least 1,000 psychiatric patient files at 20 other nursing homes, collecting an extra $30 million from Medicaid since 1995.” The release of such patients from specialized psychiatric settings in the aim of transferring costs to the federal government has directly incentivized states to close hospitals and beds that would otherwise be necessary for their residents. If the federal government is to remain involved in a bursarial role in mental health with its entitlement programs (which it almost certainly is), allowing Medicaid monies to be spent at psychiatric facilities will temper the intentionally hostile incentives created by the Johnson administration. In many states, persons cannot be committed to a psychiatric hospital against their will (or even voluntarily, in the case of many state hospitals) unless they are deemed an imminent danger to themselves or others. Such criteria are rarely met until it is “too late” and a tragedy has already occurred. While there are delicate civil liberties concerns at stake, expanding commitment standards to include standards like those codified in Washington state, where a “severe deterioration in routine functioning evidenced by loss of cognitive or volitional control” is enough to commit a person to an inpatient facility, seems an appropriate step in protecting the ill and the public. For conservatives in particular, it is vital that they acknowledge the state, foundationally, bears some responsibility in the provision of services to the severely mentally ill. Free market functions in such treatment are restricted by a two-fold problem on the demand side of the market: anosognosia and severe capacitive impairment. Anosognosia, or “lack of insight,” simply refers to a condition where a mentally ill individual is unaware that they are ill. Just as orthopedists enter their field on the presumption that those with broken bones will demand surgical remedy, psychiatric professionals cannot be expected to construct facilities for a population that has no idea they need treatment in the first place. Further, the incapacitating nature of severe mental illness (schizophrenia, bipolar disorder, as well as forms of obsessive-compulsive disorder and melancholic depression are demonstrably neurological in origin like Parkinson’s or epilepsy, as opposed to “psychological” in the traditional use of that term) means those affected may be unable to afford treatments even in the absence of anosognosiac features. Both combine to mute signals on the demand side of the market and therefore require some degree of external intervention. 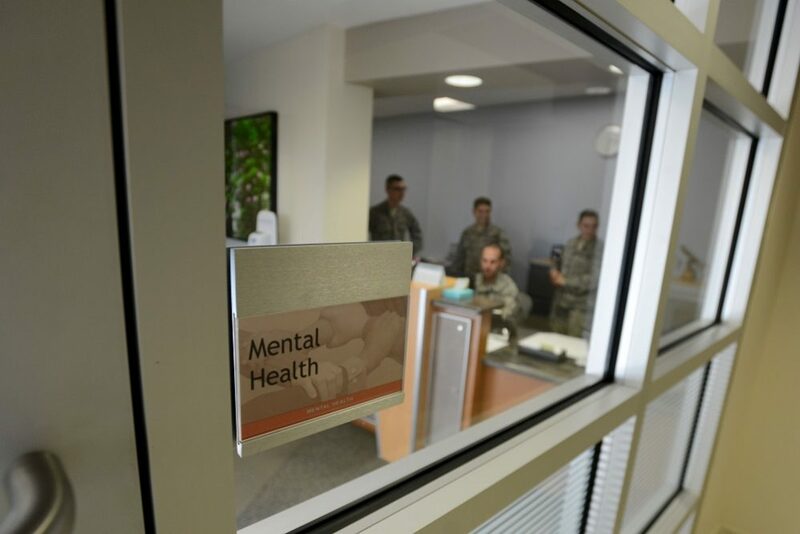 The notion that test anxiety, bullying, and self-esteem (“mental health” concerns) ought to be placed on the same plane of importance as the plight of manic-depressives suspends belief, but it is the current modus operandi for agencies that receive millions in federal funds. Finally, the best feature of asylums of the past and those that remain open were and are their exquisite construction, with towering Colonial Revival architecture and well-manicured facilities. To acknowledge the benefit to a mentally ill individual of receiving care in a beautiful milieu is to suggest that those who deal with the treacheries of internal disorder can be put at ease by the serenity of their surroundings. This is part and parcel of an earlier suggestion, that the “rush” to return a severely ill person to their “community” if they are ill-equipped for such a move belies a more important long-term benefit to a patient, one only afforded by the benefits of time and “asylum,” in the most basic sense of that term. There is a clear, dispositional difference between a single tall building meant to “stabilize” a patient and then release them, with no concern for their actual preparedness for community living, and a sprawling, self-contained facility that allows for a patient to live for extended periods of time in the hospital as they prepare to reenter their communities. Our national aversion to the latter is at our own peril. John Hirschauer is an award-winning essayist and sits on the board of directors of an advocacy group affiliated with a state institution for disabled adults.